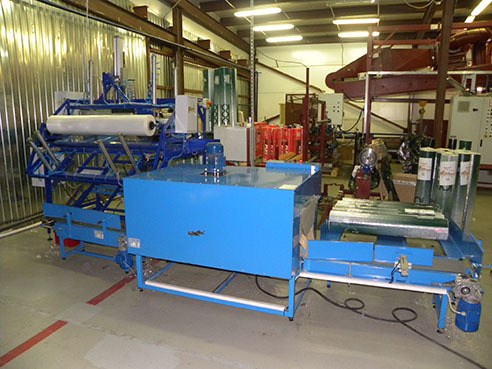 Rolls packing machine into film - SKB "Parus"
Line is designed for packaging rolls of film or other roll materials (such as wallpaper, nets, fabrics, etc.) in the shrink film. Packaging material - PVC (TU), polyolefin film.